What is GPS? How it works? GPS is a navigation technology which, by use of satellites, tells the precise information about a location. Basically a GPS system consists of group of satellites and well developed tools such as receiver. The system, however, should comprise at least four satellites. Each satellite and the receiver are equipped with stable atomic clock. The satellite clocks are synchronised with each other and ground clocks. GPS receiver also has a clock but it is not synchronized and is not stable (less stable). Any deviation of actual time of satellites from ground clock should be corrected daily. Four unknown quantities (three coordinates and clock deviation from satellite time) are required to be computed from the synchronized network of satellites and the receiver. 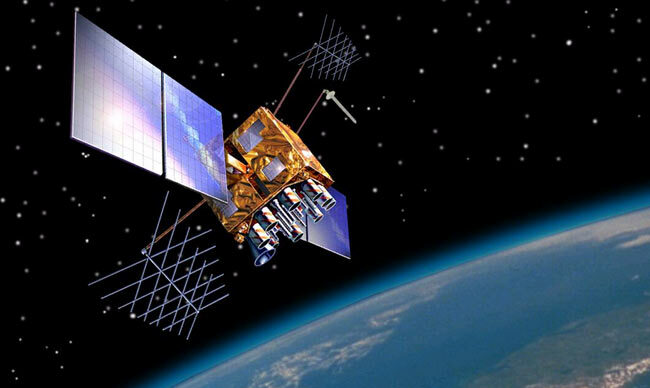 The work of the GPS receiver is to receive signals from the network of satellites to compute three basic unknown equations of time and position. A GPS signal includes a pseudorandom codes and time of transmission and satellite position at that time. The signal broadcasted by GPS is also called carrier frequency with modulation. Further, a pseudorandom code is a sequence of zeros and ones. Practically, the receiver position and the offset of receiver clock relative to receiver system time are computed simultaneously, using the navigation equations to process time of flight (TOFs). TOF is the four values that the receiver forms using time of arrival and time of transmission of the signal. The location is usually converted to latitude, longitude and height relative to geoids (essentially, mean sea level). Then the coordinates are displayed on the screen. The structure of the GPS is a complex one. It consists of three major segments of a space segment, a control segment and a user segment. Launching the satellite into medium earth orbit is a strenuous job. The space segment comprises 24 to 32 satellites or space vehicles in the same orbit, 8 each in three circular orbits. At least six satellites are always in line of sight from almost everywhere on earth’s surface. Next to space segment is control segment. In control segment there is a master control station, an alternate master control station, ground antennae and monitor station. The user segment is composed of thousands of civil, commercial and military positioning service. A GPS receiver or devise consists of an antenna, tuned to the frequency transmitted by satellites. It also includes display screen to provide location and time. A GPS receiver is classified on the number of satellites it can monitor simultaneously, that is number of channels. Receivers generally have four to five channels but recent advancements have shown that up to 20 channels have also been made. Satellite frequency: All satellite broadcast frequencies. The frequency band comprises five types such as L1, L2, L3, L4, and L5. These bands have frequency ranges between1176MHz to 1600 M Hz. GPS satellites rotate all around the earth two times in a day. It revolves around in a very accurate course and sends out indication and information to the earth. The receivers of GPS get all the information and apply triangulation to discover the accurate location of the user. Fundamentally, the receiver of GPS contrasts the duration at which a signal was spread by a satellite and allots the time it was received. The time difference formulates how far the receiver is away from the satellites of the GPS. It measures the exact distance with few more satellites and the receiver determines the position of the user and displays it on the map of the electronic appliance. The receiver must be locked to the signal with at least three satellites to produce a two dimensional position and also tracks the movement of the user. By using four or more satellites, the receiver can determine the three dimensional position of the user which consists of altitude, latitude and longitude. After determining the position of user, the GPS unit calculates other information such as speed, bearing, track, distance, destination, sunrise, and sunset time. The receivers of the GPS are very accurate because of the parallel multi channel design. The parallel channels are very quick and precise although certain factors like atmospheric noise and disturbances can perturb and affect the accuracy of GPS receivers at large sometimes. Users can also get improved precision with Differential GPS (DGPS), which corrects GPS signals to surrounded by a regular of three to five meters. The U.S. Coast Guard operates the most common DGPS correction service. The system contains an arrangement of towers that obtain GPS signals and broadcast an exacted signal by beacon transmitters. With the aim of getting the exact signal, users must have a differential beacon receiver and beacon antenna apart from having a GPS. Ionosphere and troposphere delays - The satellite signal slows down as it crosses the layers of atmosphere. The GPS system uses a built in model that is used to calculate the regular duration of hindrance required to correct this type of inaccuracy. Signal multipath- This error is occurred when the signal is reflected from the objects like taller buildings and larger rocks before it reaches the receiver. This increases the overall time duration of the travel of signal and causes errors and inaccuracy. Orbital errors – These errors are also known as ephemeris errors which are used to calculate the inaccuracies of the location of the satellite. Number of satellites visible- accuracy depends on the exact number of satellites that a GPS receiver can see. The factors like buildings, terrain, electronic interference blocks the signal accuracy and reception which causes error in position and sometimes no reading in signals. It typically does not work indoors, underwater and underground. 1. Astronomy: Used in Astrometry and celestial mechanics calculations. 2. Automated vehicles: It is also used in automated vehicles (driverless vehicles) to apply locations for cars and trucks. 3. Cellular telephony: Modern mobile phones come equipped with GPS tracking software. It is present because one can know one’s position and can also track nearby utilities such as ATMs, coffee shops, restraints, etc. The first cell phone enabled GPS was launched in 1990s. In cellular telephony it is also used in detection for emergency calls and many other applications. 4. Disaster relief and other emergency services: In case of any natural disaster, a GPS is a best tool to identify the location. Even prior to the disasters like cyclones, GPS helps in calculating the estimated time. 5. Fleet tracking: GPS is a developer tool known for its potential to track military ships during the war time. 6. Car location: A GPS enabled car makes it easier to track its location. 7. Geo fencing: In geo fencing, we use GPS to track a human, an animal or a car. The devise is attached to the vehicle, person or on animal’s collar. It provides continuous tracking and updating. 8. Geo tagging: one of the major applications is geotagging meaning applying local coordinates to digital objects. 9. GPS for mining: Uses centimetre-level positioning accuracy. 10. GPS tours: helps in determining location of nearby point of interests. 11. Surveying: Surveyors make use of Global Positioning System to plot maps.